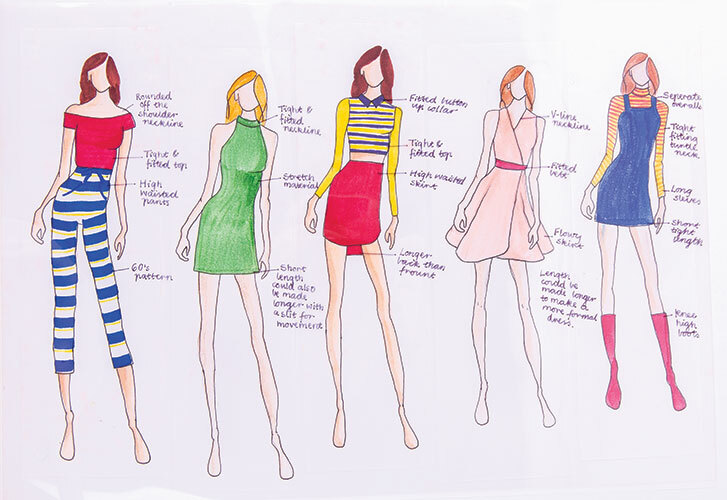 In VCE Unit 2, students are required to work collaboratively to design and produce a product. 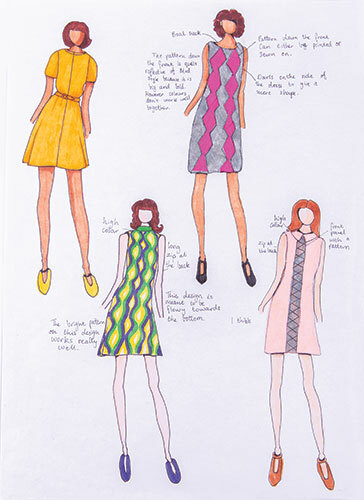 Lucy and Kate researched a series of styles and movements to inspire and influence their design work. 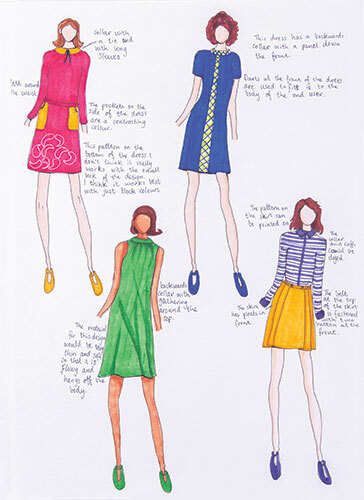 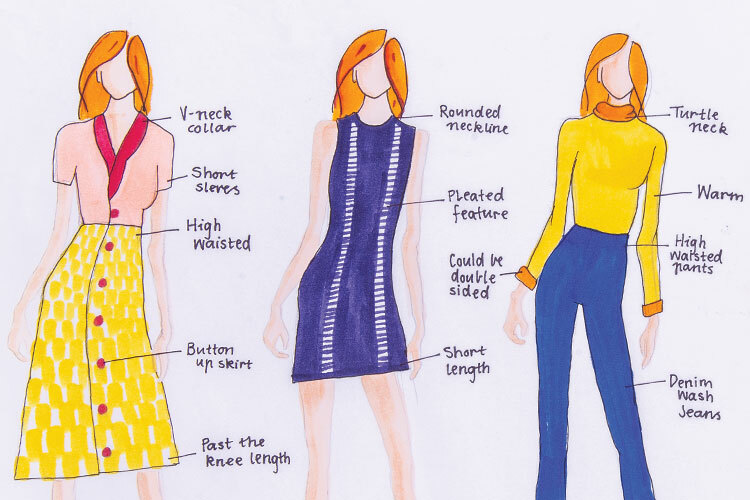 Finding inspiration in the 1960s, Kate was able to source an original pattern of her grandmothers that then allowed the girls to design 2 dresses that appear as a range. 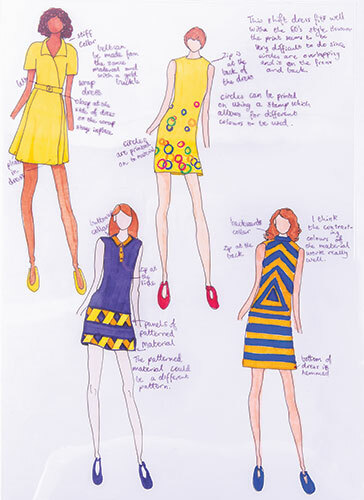 Both Lucy and Kate enjoyed using the copic markers to generate their visualisations and design options. 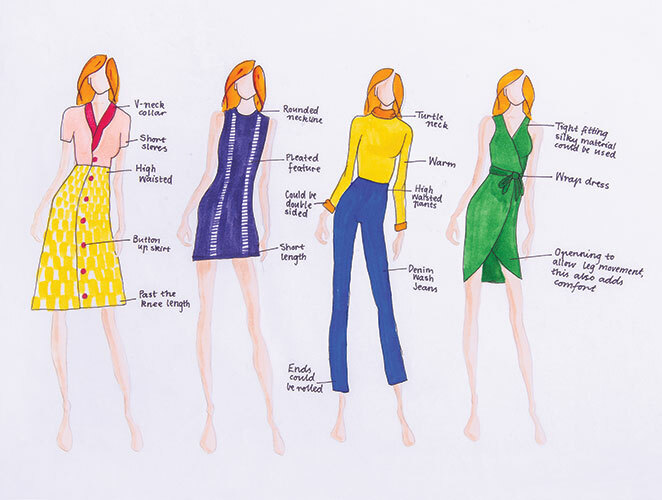 Once they had decided on their dress pattern, students explored a number of techniques to create their feature panel down the centre of their dresses.